Many handspinners raced to the Tour de Fleece finish line on Sunday with several beautiful skeins of handspun yarn added to their stash. Below are just a few from Team Woolery - click here to view more in our Ravelry group! 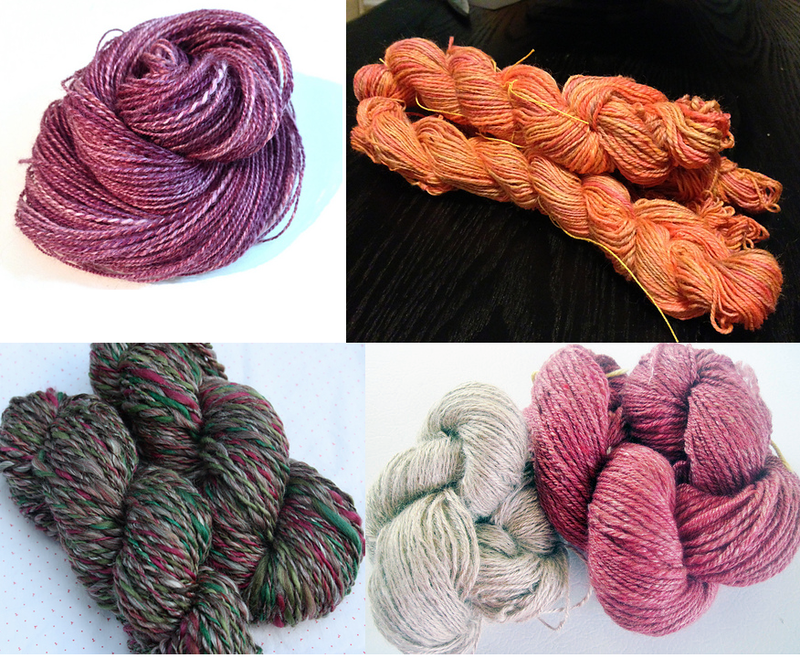 Do you find yourself wondering what to make with your handspun creations? We have a few suggestions in today's blog post, and there are also some great reference books such as the Spinner's Book of Yarn Designs or Spin to Weave to come to your rescue! We've come across some lovely weaving projects using handspun yarns on Weavolution recently - below are just a few ideas to inspire you! L-R: Sofa Pillows, Saori Scarf, Twill Blanket, Ruana. For handspinning knitters, Knittyspin is a really excellent source for free patterns - you can view all of their pattern archives here! L-R: One Row Handspun Scarf, Handspun Slouch Hat, Handspun Fingerless Gloves, Crochet Handspun Baby Socks. You can also mix small amounts of your handspun with a commercially available yarn for colorwork and stripes, or use it as an accent edging on a special project. Finally, if you've spun enough to make a sweater or socks, there are patterns for that, too! L: Handspun Sweater; R: Simple Handspun Socks. Plus, you can always sub in your handspun yarn for any pattern if you are able to calculate WPI correctly. Not sure how to do that? Don't worry, we've got an easy video tutorial on our YouTube Channel! Now that you have a little inspiration, we can't wait to see what you'll create with your handspun yarns. Happy Spinning!